Me and MyCycle is our story. 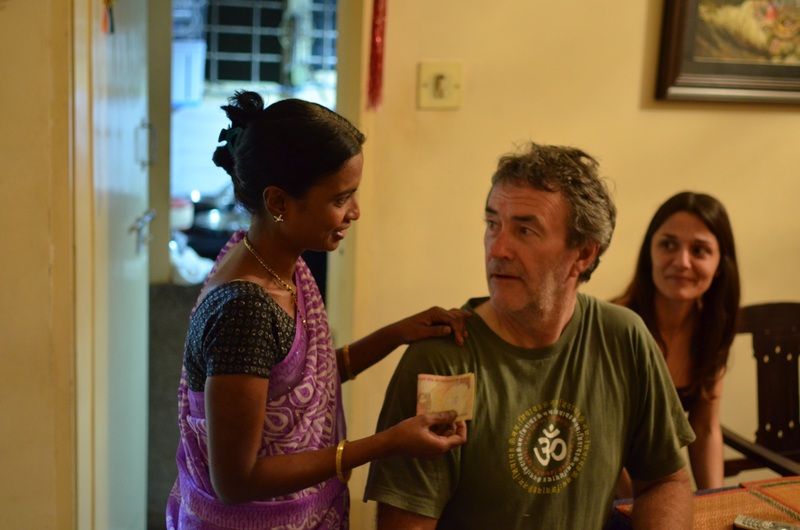 Manjula who manages the Mysore Bed and Breakfast and myself, Stephen from the UK who set up the BnB and MYCycle Tours. So it’s about what we do and the wonderfully diverse people that visit us in our life in this wonderful, unpredictable madness that is India. Admittedly this sometime blog has a slow burning fuse. Maybe if you stick with it you’ll appreciate its value.. You’ll find the beginnings here of some of why and how it all started and as it grows we’ll share something of our experiences of life in India. Personally I reckon the real gem will be Manjula’s own story. Her life here in Mysore and elsewhere in India, her take on what’s happening in contemporary India and those who come into our lives. Who knows where it might lead but I promise it will be an entertaining read. So Manjula’s own story will appear later in the year and I’ll announce it via Facebook and Twitter. So, in the meantime, please continue to read the entries in meandmycycle.com for some of the background or see our Mysore BnB entry on Trip Advisor to find out something of our visitors and what they do here.